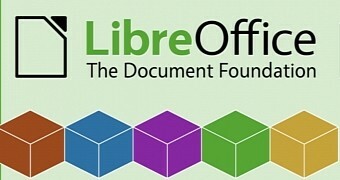 The Document Foundation announces LibreOffice 6.2.3, the third bug and regression fixing release of the LibreOffice 6.2 family, targeted at tech-savvy individuals: early adopters, technology enthusiasts and power users. LibreOffice’s end users are helped by a global community of volunteers: https://www.libreoffice.org/get-help/community-support/. On the website and the wiki there are guides, manuals, tutorials and HowTos. Donations help us to make all of these resources available. LibreOffice users are invited to join the community at https://www.libreoffice.org/community/get-involved/, to improve LibreOffice by contributing back in one of the following areas: development, documentation, infrastructure, localization, quality assurance, design or marketing. All items in the menubar have now an icon. Some items are missing tdf#124200 but in general all commands will show an icon in the menubar. Now even better in LibreOffice. I recently dived into the SmartArt support of LibreOffice, which is the component responsible for displaying complex diagrams from PPTX. I focus on the case when only the document model and the layout constraints are given, not a pre-rendered result. First, thanks to our partner SUSE for working with Collabora to make this possible. When I began contributing code to LibreOffice, I faced some issues because I didn't know several facts that the other active contributors knew. This blog post summarizes some of those facts, and I hope it will be useful for other new contributors! While LibreOffice 6.1 is still the recommended version for those who want a more stable and well-tested LibreOffice office suite, LibreOffice 6.2.2 is here for technology enthusiasts and early adopters who want to get a taste of the latest new features and innovations in the free and open-source office suite used by millions of computer users worldwide. "LibreOffice 6.2.2 represents the bleeding edge in term of features for open source office suites, and as such is not optimized for enterprise-class deployments, where features are less important than robustness. Users wanting a more mature version can download LibreOffice 6.1.5, which includes some months of back-ported fixes.," said Italo Vignoli. On the 1st and 2nd of April, KDAB will once again be sponsors at this fast-growing Qt event in Italy: QtDay 2019. The biggest Qt event in the region, now in its 8th year, contrary to what its name suggests, QtDay 2019 boasts a full two days of technical talks and workshops, each day with two to three tracks. Once a year, the LibreOffice Community gathers for a global community event: the LibreOffice Conference, or LibOCon. After a series of successful events – Paris, October 2011; Berlin, October 2012; Milan, September 2013; Bern, September 2014; Aarhus, September 2015; Brno, September 2016; Rome, October 2017; and Tirana, September 2018 – the venue for 2019 is Almeria, Spain. To ease the organization, TDF Board of Directors has decided to open the call for location for 2020, to give the 2020 event organizers the opportunity of attending the conference in Almeria in September 2019. The LibreOffice Conference takes place between September and November, with a preference for September. The LibreOffice 6.2 office suite was released in early February with a lot of new features and improvements, including an optional NotebookBar UI and many enhancements for the Writer, Calc, Draw, Impress, Base, Math, and LibreOffice Online. Today, the first point release, LibreOffice 6.2.1, is here to address no less than 150 bugs and issues reported since the LibreOffice 6.2 release. "LibreOffice 6.2.1 represents the bleeding edge in term of features for open source office suites, and as such is not optimized for enterprise class deployments, where features are less important than robustness. Users wanting a more mature version can download LibreOffice 6.1.5, which includes some months of back-ported fixes," said Italo Vignoli, Co Founder, Marketing & PR, The Document Foundation. The Document Foundation invites all members and contributors to submit talks, lectures and workshops for this year’s conference in Almeria (Spain). The event is scheduled for early September, from Wednesday 11 to Friday 13. Whether you are a seasoned presenter or have never spoken in public before, if you have something interesting to share about LibreOffice or the Document Liberation Project, we want to hear from you! It’s time to register to the GSOC programm for the different LibreOffice tasks. As the notebookbar is available for the regular users I hope to get students how are interested in Improve the LibreOffice notebookbar. If we look at LibreOffice in isolation, and ignore the Microsoft side of the story, it’s a pretty solid suite, with lots of great things. It’s also free, and that’s not a negligible element. But then, there are also things that need to be improved and fixed – and fast. I believe that momentum is slowly ebbing across the entire open-source space, especially products that have a strong Linux presence. It could be the usual wear-‘n’-tear, it could be some sort of inspirational crisis, or just the harsh reality of things in early 2019. While LibreOffice is making progress, it’s not doing that fast enough. Now, cue competition, and things are ever worse. LibreOffice needs a more consistent UI, with fewer but better designed layouts that will always render nicely, without having to worry about fonts or DPI or anything of that sort. The editing of images and charts is slow and inefficient. The styles can be streamlined a whole order of magnitude. Finally, we do have to contend with Microsoft Office and the file format compatibility. This remains a big issue. Unless LibreOffice users can create files and send them knowing those files will open correctly on other people’s machines, it will always remains an underdog. And at some point, the hope will fade. 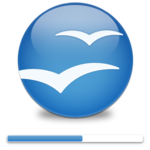 Let’s all hope that LibreOffice can sustain its energy to become more than a pro-am experiment. In a way, your freedom depends on it. After all, if you ain’t first, you’re last. Call for Papers for LibreOffice Asia Conference 2019, held at the Nihonbashi Tokyo Tower (at Cyboze, Inc., Tokyo Office) on May 25th (Sat) and 26th (Sun), is now open. LibreOffice Asia Conference will be the first event gathering LibreOffice users, advocates and contributors (not only development, but also localization, PR/marketing, documentation, quality assurance, … etc.) from different countries in Asia, to exchange and share experiences and knowledge. During the conference, we will discuss LibreOffice related business such as supporting and training, migrating to LibreOffice and the ODF true standard format, developing, and any other community activity in Asia. In addition, we will have guests from the core team at The Document Foundation, which is a charitable foundation and the home of LibreOffice. Design ideas: My focus was on technical content. The basic layout is dictated by the Fedora Docs project but a bit of design work on the welcome page and the addition of any IoT specific logos would be nice. Also, there are a few screenshots that could use a pointer or box to highlight the area described in the text. Verify links for downloads and upgrades: The working group now has regular updated images available in a CDN and the next downloadable image is in progress along with the final version of the landing page for downloads. Once the update and release schedule process is smoothed out, the documentation needs to be verified. Get ready for F30: When Fedora 30 is ready, the site will need some Release Notes and the User Guide will need some updates to cover new features. You can submit suggestions as iot-docs issues in pagure. The cynical among us might be tempted to think that an announcement from the GNOME project about the removal of a feature — a relatively unused feature at that — would be an unremarkable event. In practice, though, Debarshi Ray's announcement that the GNOME Online Accounts (GOA) subsystem would no longer support the "documents" access point touched off a lengthy discussion within the project itself. The resulting discussion revealed a few significant problems with GOA and, indeed, with the concept of online-account management in any sort of open-source umbrella project like GNOME. GOA is meant to provide a single sign on system integrating GNOME applications with web-based services. Any application that, for example, wants to access files stored in Google Drive would ordinarily have to ask the user for credentials and log into Drive separately, which gets tiresome for users running a lot of applications. By routing this access through GOA, the GNOME developers hope to simplify the process of using those services. GOA includes a number of different "integration points" for different types of services, including files, email, calendars, contacts, and more. The "documents" point was used by the Documents application, which is meant to help users manage their documents. It has suffered, though, from a lack of both users and developers and lacks basic features; Michael Catanzaro described it as "basically just 'bad evince'". That certainly restricts its prospects for success; as Ray put it: "it doesn't stand any chance of adoption unless it can open files like /usr/bin/evince". Documents has duly been removed from the core set of GNOME applications. Since it was the only core application using the "documents" integration point, that point is now being removed. For fans of Devuan, the downstream of Debian focused on "init system independence" or just "Debian without systemd", their first-ever conference is happening in just over one month. LibreOffice Writer, like OpenOffice, is a completely free and open-source product that offers word processing, support for .doc and .docx file formats, and all the tools the average Microsoft Word user will need in a word processor. LibreOffice Writer and OpenOffice Writer are similar in a lot of ways: Interface style, file format support, lack of cloud integration and real-time collaboration, and general word processing features. Both are solid choices for those looking for a free alternative to Microsoft Word, and selecting one over the other largely comes down to preference. One aspect of LibreOffice stands out, and it isn't what's in the app—it's the community-driven nature of the platform. 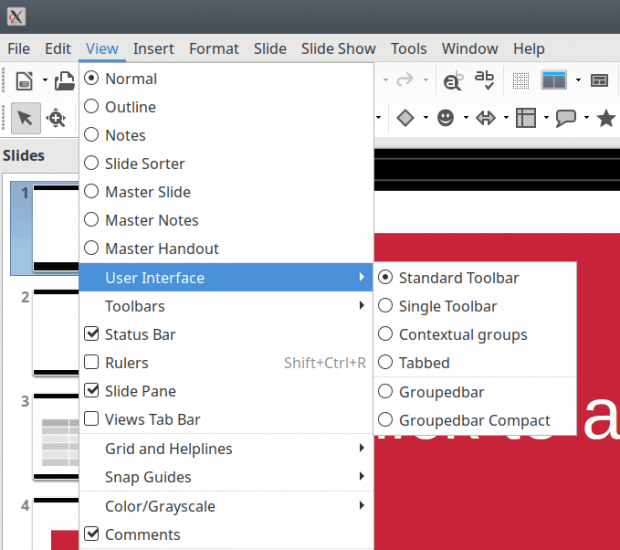 Collaborating with users and developers to improve the product is front and center on LibreOffice's website, and that focus has grown LibreOffice into a thriving community of users and coders that keep making it better. LibreOffice Asia Committee calls for proposals of talks for LibreOffice Asia Conference 2019, Tokyo held at the Nihonbashi Tokyo Tower (Cyboze, Inc. Tokyo office) on May 25th (Sat) and 26th (Sun). LibreOffice Asia Conference is the event to gather LibreOffice users and contributors (such as development, translation, PR/marketing, quality assurance, or else) in the Asian region to exchange each knowledge. In there, we will discuss LibreOffice business such as support and training, the current status of migrations for LibreOffice and its standard format ODF, how to use, development, and any other community activities around Asia in it. This year’s Tokyo conference is the first Asia Conference. There are currently 1 user and 57 guests online.